I have been drooling over the Hasselblad X1D since it was first announced last summer. The X1D is the first mirrorless digital medium format camera. It is also significantly lighter and smaller than any medium format camera on the market that uses an optical viewfinder. With a price tag of $8,995 for the body and lenses starting at $2,295 (for the 45mm) up to $ 3,995 (for the 30mm), this is not a low-end camera system. But, when compared to the Hasselblad H6D or the Phase One XF, where you can easily spend upwards of $30,000 on a camera system, this is a bargain in the digital medium format genre. Last week I was fortunate enough to try it out for a few days in New Orleans while teaching a photo workshop. Fellow Hasselblad shooter, Michael Kerouac, had just received his Hasselblad X1D “4116” edition only a few days before the workshop and was kind enough to bring it with him so I could shoot with it. As can be seen above, the 4116 edition, which is an abbreviation for the years 1941 (when Hasselblad first announced the V series cameras) and 2016 (when the X1D was announced), is an all black version of the original X1D. My thanks to Michael for letting me try out his brand new camera. Unlike my other equipment reviews, I only had a few short days with the X1D. Hence, while these are my thoughts on the camera from that short period, I cannot call this a full on review. Others have had much more time with the camera and have been able to put it through it’s paces in a way I have not been able to. If you are looking for an extensive review, Kevin Raber of Luminous Landscape has published a lengthy Hands On Review after a month or more with the camera. Ming Thein has also written quite a bit about Hasselblad’s latest offerings. This review will offer up my thoughts on the X1D but by no means should it be considered comprehensive. I have chosen to write this review because there are so few reviews out there and because so many people, myself included over the last several months, have been waiting to get their hands on this camera. When you pick up the X1D it is a bit heavier than you think it would be just by looking at it. It’s diminutive size and mirrorless design implies that it will be a lightweight camera similar to other mirrorless offerings. But, when you wrap your hand around the grip, feel the heft of the camera, and realize it is a solid chunk of metal the realization sets in that this camera is in a whole other league than any mirrorless offering that has come before it. As usual with Hasselblad’s offerings, including my H5D 50c WiFi and all of the H6D cameras I have shot with, the X1D is superbly crafted. Hasselblad’s attention to detail and craftsmanship is on full display with the X1D. Very few cameras that I have ever shot with compare with the X1D or the latest H6D versions in terms of craftsmanship. The Phase One XF is one of the few other cameras I can think of that is in the same league as the new X1D. The grip on the X1D is the best I have ever seen on any camera. The overall design is absolutely splendid. Again, very few cameras have ergonomics in this realm. My H5D doesn’t feel as good in the hand as the X1D regardless of weight and size. Even my Nikons, which I love, don’t feel as well sculpted as the X1D. The overall design of the camera is simple, straightforward and elegant. I hope that Hasselblad wins some awards for the X1D design because this camera is a masterpiece and deserves any and all design awards that it receives. It’s design is so elegant it already deserves to be shown in museums. As an example of the modern aesthetic built into this camera, the main mode dial, shown above, is ingenious in how it pops up to make a change and then pops back down to lock in that setting and stay out of the way. The overall design is so intuitive that you can literally pick this camera up and figure it out without having to refer to the user manual and that says a lot about its design ethos. While I didn’t have enough time with the camera to get to know it intuitively, I can see that with time, the X1D could be a very intuitive photographic tool. One of the things I was keen to check out was the autofocus capabilities of the X1D. My H5D has very accurate autofocus, but it is not what I would call fast autofocus. This is typical of medium format autofocus cameras. I found the X1D’s autofocus was quite fast for a medium format camera. It was noticeably faster than my H5D, but not nearly as fast as my Nikons. I had it set up with back button focus, which is how I have my H5D set up. I was quite impressed with the autofocus speed in all conditions, even in low light. 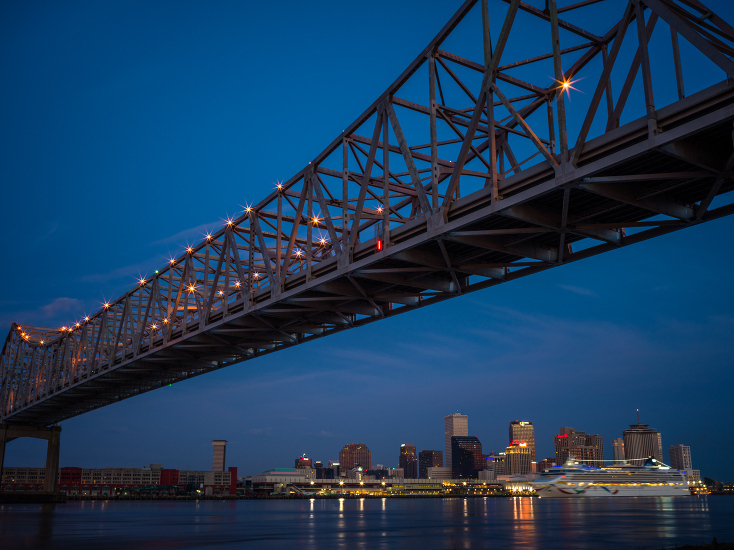 The X1D had no issues focusing in low light as shown in the image below of New Orleans. In terms of the autofocus points there are 35 AF points available and they cover a large majority of the viewfinder. Switching between AF points is as easy as pushing the AF button on top of the camera and using the touchscreen display on the camera’s LCD to select the AF point (this is the slow method), or by tapping the AF button on the top of the camera and using the front and rear dials on the grip to move the AF point in a similar manner as the older Canon cameras used (before the toggle AF selection was added). This second method seemed a bit clunky but with use I am sure it would become more intuitive. If I were to add one thing to the X1D, it would be an AF point toggle like those found on Nikon or Canon cameras. The size of the autofocus points seemed a bit on the large side. I am not sure if that makes much difference but when very carefully shooting a portrait wide open, as I tried to do a few times, it took some work to get the eyes in focus. I know that Ove Bengtson of Hasselblad mentioned in an interview with Luminous Landscape that there would eventually be 60 AF points so we will have to wait and see what firmware updates come along in the future. As it is, the autofocus was quite good and among the best I have seen in any medium format camera. One of the things that was a let down for me is the time lag between the time you press the shutter release and when the camera actually takes a photo. With the H5D, which I have been shooting with for over a year now, the shutter release is pretty much instantaneous. I have shot a lot of sports with the H5D and it is very responsive, which enables me to capture the moment exactly as it happens. With the X1D, there are a series of clicks that are audible when you press the shutter release. I am not sure 100% what all of these clicks are, but my guess would be that the first click is the live view deactivating, the second is the leaf shutter closing down, which is the start of the exposure, the third is the leaf shutter opening and then finally the live view, either on the back of the camera or in the viewfinder, starting up again. The key thing to know is the second click is when the image is actually taken. While my description above sounds lengthy, in use the actual clicking happens quite fast and is not that loud. I was very surprised with this lack of responsiveness. This is a serious impediment for most of my work. I am sure with experience you can learn to anticipate the shutter lag, but when shooting portraits or action, often there isn’t time to anticipate the shutter lag–you just need the camera to fire exactly when you push the shutter release. I hope that Hasselblad can fix this in the future. Additionally, when you take a photo, the viewfinder blacks out. The viewfinder black out is not an insignificant amount of time either. It felt like the viewfinder black out lasted longer than it needs to. This black out is another issue that will hinder photographers trying to capture “the” moment with this camera. For landscape photographers, I don’t see either of these issues being a problem, but for photographers who need to react and capture a moment precisely as it is happening this may not be the best tool in the bag. Of course, if you need to react quickly a DSLR or a faster mirrorless option would be the obvious choice. Medium format cameras in general are for those situations when you have more time to consider, compose and focus the final image. Update June 21, 2017: After further testing, I have found that there is indeed a shutter lag. While trying to shoot sports, the camera misses the moment I am trying to capture every time. Hence, for those looking for a lighter weight medium format solution and who also photograph action the X1D is not the camera for those situations. I’ll be sticking with my H5D when I need a medium format camera for action photography. Having shot with a variety of mirrorless cameras, I have noticed that their smaller size makes them feel like point-and-shoot cameras that can be handled with less rigor than a normal DSLR or larger cameras. With the X1D I felt the same way. The camera, along with the 45mm and 90mm lenses I used, felt fairly light and agile. Because of this, I had to constantly remind myself to take care when shooting handheld with the X1D. Steady hands and high shutter speeds are required to get sharp images when shooting hand held with this camera and hence, the new 1/2,000th second top-end shutter speed is a blessing for shooting hand held. This comment is not a knock on the X1D, just a reminder for those looking to purchase this camera that care will have to be taken when shooting handheld, just like when shooting with a Nikon D810. I have shot with several medium format cameras that use the same 50 MP CMOS sensor as found in the X1D. My H5D 50c has the same 50 MP sensor. As you would assume, the image quality produced by the X1D is excellent. I didn’t really see any difference from my H5D 50c. It has 14-stops of dynamic range and has very low noise even at ISO 6400. I don’t think anyone will be disappointed with the image quality. As with the Nikon D810 or my H5D, exposing for the highlights and bringing back the shadows is easily achieved with this sensor. In the image below, I exposed for the sky and brought up the shadows slightly. I could have pulled the shadows slider out much further but wanted to keep the silhouette of the photographers in the foreground. While I only had two days with the X1D, that was enough time to recognize that the image quality is on par with similar resolution medium format cameras. The X1D is right in there with the best of them. As this is a new system, many are wondering about the new XC lenses. First off, yes, the lens mount has a tight seal when changing lenses. I was a little surprised at the tightness of the lens mount when changing lenses but that only goes to show just how well made this system is and the degree to which Hasselblad has seriously taken the weatherproofing for this camera. The lenses themselves are very elegant, and similar in design to the HC lenses. I found the 45mm and the 90mm lenses to be extremely sharp. They are also both rather small considering the equivalent focal lengths I have used on my H5D. I was not able to try out the 30mm lens as Michael had not received it yet, but I look forward to seeing quite a few more lens options announced this year and in the future. Hasselblad also is offering the XH lens adapter, which will allow the use of the H-series lenses on the X1D. This adapter gives access to the full range of Hasselblad’s lenses from 24mm all the way up to 300mm. For prior Hasselblad users this offers a very affordable way to use your existing lenses. I am overjoyed that Hasselblad stuck with the leaf shutter lenses for the X system. Because of the leaf shutters built into the lenses, the X1D can sync with strobes all the way up to 1/2,000th second. That was a major selling point of the H-series cameras for me and is here again another major selling point with the X1D. As a side note, the fact that the forthcoming Fuji GFX only syncs with flash at 1/125th second and below is a serious limitation for my style of work. I have to admit up front here that I have yet to see an Electronic Viewfinder (EVF) that has won me over. I vastly prefer the responsiveness of an optical viewfinder so I can see with utmost clarity what is happening through the viewfinder. If you look through a viewfinder like that found in the H series Hasselblad cameras it becomes quit clear just how amazing a good viewfinder can be and what impact it can have on your images. The best EVF that I have seen in any mirrorless camera is the one in the Leica SL—and I still wasn’t blown away by it. The viewfinder on the X1D is very good, but I found that the “shimmer” effect on moving objects, like flowing water for example, to be a little distracting. I don’t think this is any different than any other EVF in any other brand of camera. This is just where EVFs are at the moment technologically. Regardless, the EVF in the X1D is good enough for the uses one would buy this camera for. The Touchscreen on the back of the camera was very impressive. In live view mode, the image displayed, even in full sun was pretty spectacular. For landscape photography I could see myself going to a Live View touchscreen workflow where I barely ever looked through the viewfinder. It was that good. Overall, I’d say the EVF was up to par and the LCD was spectacular. The menu on the X1D is a thing of beauty. This just might be the most intuitive camera menu I have ever seen. Kudos to Hasselblad for creating a simple menu that is so easy to figure out that any 12 year old who has used an iPhone could easily pick up the camera and figure it out rather quickly. Simply touch the item on the rear LCD that you wish to adjust and choose from the options. I found myself changing most settings, like changing the ISO and selecting the focus point, by using the touchscreen more than the buttons and dials. With more time, I am sure I would be able to change the basic settings with buttons instead of the touchscreen as that would allow me to not take my eye out of the viewfinder. Below are a series of images showing the main menu, changing the ISO settings and also changing the white balance settings to give you a sense of the intuitive menu built into this camera. I didn’t test the battery life out extensively but I shot for a few hours without any issues. After that session I think we still had 60% battery life left. We only had one battery because at this point there are no extra batteries available for purchase. Also of note, the start up time takes a bit longer than with my H5D and seemed to take around seven seconds or longer. I didn’t measure it but it was a considerably longer start up time than I am used to with medium format cameras. In use, I just left it on and let it go to sleep when I was in between shots. I imagine that through firmware updates this can be improved over time. Many that are considering this camera may not have ever shot with a digital medium format camera before. Medium Format digital is a whole other beast than DSLRs, especially when it comes to software upgrades and feature sets. In the medium format world, it has been my experience that a camera is announced, starts shipping and then the company deals with unforeseen software and/or hardware glitches. This is partly because the digital medium format genre is a much smaller marketplace, but also because the companies themselves don’t have the resources a Canon or Nikon have to dial in the cameras to the nth degree before they are brought to market. I say all of this just to say that the X1D is still a work in progress and will be for some time to come, just as the H6D is still a work in progress and the Phase One XF is still being perfected. This is not a Hasselblad thing, it is just the reality of the smaller market for these type of cameras. With Fuji coming into the equation I have a feeling they will have the GFX dialed in to a degree the other medium format manufacturers are not able to achieve because they are a larger company and already have a lot of experience with mirrorless cameras. Nonetheless, with any new medium format digital camera you should expect there to be a few bugs in the system that need to be worked out. One of the revelations I had when I started working with the H5D was that cleaning the sensor when the entire digital back is removable made it very easy blow off any dust or use an e-wipe to clean off encrusted dust spots on the sensor. Compared to cleaning my DSLR sensors, the H5D is a dream to clean. The downside of the X1D is that the sensor is in a cavity, i.e. below the level of the lens mount, and just as with the DSLRs, it will be a bit harder to clean than my trusty H5D. This isn’t a huge deal but just something I realized while looking down at that huge sensor. Another thing to note is that the larger the sensor the more dust it attracts since the sensor is charged while shooting. I think this might be part of why the lenses lock onto the body with such a tight seal—to keep dust off the sensor. This is just a small side note in this review but worthy of mention since in real world use the sensor will have to be cleaned fairly often. Having lugged my Hasselblad H5D 50c WiFi all over the world the last year and a half, along with a decent size Nikon kit, the thought of having a smaller, lightweight 50 MP medium format rig is very appealing. The X1D is an excellent camera, with identical image quality to my H5D or new H6D 50c. The size and weight of the X1D is very similar to my Nikon D810. It is such an elegant camera that I found it very hard to put down once I started shooting with it. The X1D reminds me a lot of the Mamiya 7II, which was one of my favorite medium format cameras ever. The X1D’s small size, straightforward, no-nonsense approach to photography, like all Hasselblad cameras, helps you to concentrate on the image and not on the camera. In other words the camera doesn’t get in the way of the image. As an adventure sports photographer, this would not be the camera I reach for when trying to capture fast action. The shutter lag would be a major hindrance. Also, the viewfinder may or may not work well with tracking fast moving subjects. With my H5D, the near instantaneous shutter release allows me to set up the shot and capture action fairly easily. On the other hand, the X1D is a stellar landscape camera. I can also see it being used for other genres like portraits and street photography. 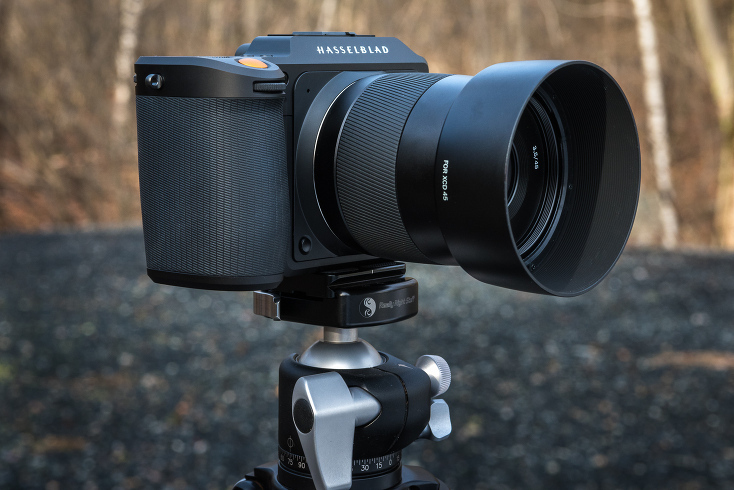 Hasselblad has taken quite a few hits in the media the last few months with the late shipping of the X1D, a new CEO and DJI making a larger investment in the company. Everything seems to have been blown a bit out of proportion if you ask me. In the end, what Hasselblad has done with the X1D is revitalize their brand in a way few camera companies have ever done. The X1D is nothing short of a futuristic version of the original Hasselblad 500 series cameras that they brought to the market in 1941. Don’t get me wrong, it has a few issues to be worked out but they are minor and will surely be fixed this year with firmware updates. David Clifford - Great review Michael. As always. Any thoughts on using this rig for Architecture? Aldo CG - Regarding Architecture- I am just now noticing that the 30mm has absolutely no distance focus markings on it. This is completely and utterly useless for architecture. Everything must be focused manually, and you can’t even see where you’re focusing? I have shot thousands of images for clients and not once have I not relied on distance markings. Michael Clark - Niels – Maybe the X1D batteries have been available where you live but here in the USA they are still on backorder and have been for a long time. Jan - How would you compare the AF with a camera as the Sony rx1r? Do you think it is possible to make street photography with the hasselblad x1d? Erik Lundqvist - I rented the X1D for a field test over a weekend a couple of months ago, and one of the shoots I had arranged was a fitness shoot with a boxer. I took around 40 frames of him unleashing his inner fury on a sandbag and I did not manage to nail even one frame just as he hit the sandbag. Admittedly, maybe the the series of clicks caused me to think there is shutter lag and as a result I pressed the shutter earlier and earlier, but to me it looked like the boxer was in the process of retracting his arm as the sandbag was in full swing. Michael Clark - Jan – I don’t know. I have not ever shot with the Sony RX1R. You can shoot street stuff with the X1D but just realize the AF is going to be a little slower. I’d say rent one before you buy it. With mobile devices and tablets with their amazing resolution we now view more images on a monitor instead of on paper I wonder where standalone cameras will fit. Purists will of course lambaste me for saying all this but I wonder these fine pieces technology and optics like fine watches are like the old steel mills that are excellent subjects for photographers, symbols of a bygone era? I hope not, especially for the company whose cameras went to the moon and back, but I am doubtful. Benjamin Samson - Dear AusTex, These cameras are entirely unnecessary if your sole wish is to see your photos on a computer screen or on instagram. However, if you like to print your photos and print them big then they are quite relevant. And whatever happens with time folks are going to keep having a need to fill their walls with content. KK Agrawal - I have not read about any shutter release cable being used with X1D. Do they have anything of this accessory, because this is useful for close-up work. Michael Clark - I have heard folks talking about the smartphone app that can trigger the camera but I don’t think there is an actual cable release as far as I know. I might be wrong on that. Robert Sinclair - Michael – Thank you for an excellent write up on the X1D – very informative. I received mine a few days ago and find it a pleasure to hold and work with and the image quality is remarkable. And I am comparing this to my years of Phase One, Leica, and 45 years of Canon use, along with 4×5 view camera film. One issue I cannot seem to work around is the viewfinder (I don’t use Live View on the back) black out time period, especially in Continuous Drive Mode, but even in Single Drive Mode with quick shutter releases. I shoot only to RAW files, and because the black out period is longer than time between captures (reportedly 2.3 fps), I am unable to see through the black viewfinder what I am shooting. Any thoughts, comments, or suggestions about this? Michael Clark - Robert – Save for the latest Fuji X-Series and Sony A7 and A9 series mirrorless cameras, most mirrorless cameras lock up the viewfinder when firing off bursts. The black out on the X1D is not optimal for any kind of action photography. I see it as more of a one shot beast. Hard to say. Also, for clarification, I do not own an X1D. I shot with a friends for a few days to write this review. I have an H5D and still use that. PS: Your work is outstanding and Shiprock is a favorite subject of mine. Jon - Thanks for the review. Very interested in this Hasselblad system. It’s the dream camera. I wonder about the shutter lag though. I’ve seen a couple people write about that third click thinking that’s the shutter opening and hence thinking there’s a large lag, but it is the shutter re-cocking itself. The third click is after the exposure is made (reminds me of the delayed secondary shutter in a 500cm). You say there is still a lag? Are there any numbers anywhere? Second click sounds relatively instant to me but perhaps isn’t? Michael Clark - There is a pretty long shutter lag. I just shot with it again here a few weeks ago and for any action it is completely unusable. I was very sad to see the shutter lag. I did a lot of testing and it is only a third of a second or so but it was enough that any moving object wold already be out of frame by the time the image was taken. In comparison, my H5D is damn near instantaneous. When I push the shutter release I have the image I wanted.